1.Fixed the bug that an error page will popup when enter the time settings page. 2.Fixed the language displaying issue in some prompt pages. 3.Optimized some button names for the Web UI. Have a question about our products? Save time and find the answer by yourself. What can I do if I forgot the login password of the MERCUSYS Wireless Router? Why can't I log in to the web management utility of the MERCUSYS device? How to configure the MERCUSYS Wireless Router as a wireless Access Point? How to log into the web-based interface of the MERCUSYS Wireless AC Router? 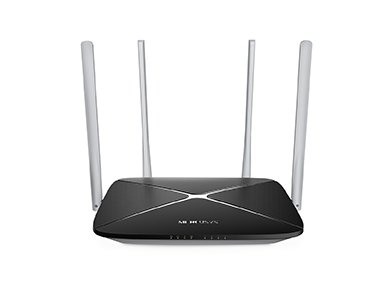 How to find or change the wireless network name and password on the MERCUSYS Wireless AC Router? How do I open ports on the MERCUSYS Wireless AC Router? How to configure WDS Bridging on the MERCUSYS Wireless AC Router? How to configure Access Control on the MERCUSYS Wireless AC Router? How to configure Parental Control on the MERCUSYS Wireless AC Router? How to configure IP & MAC binding on the MERCUSYS Wireless AC Router?